Here at the Center for Vision Enhancement, we are proud to be a different kind of vision center. Most optometrists focus on strengthening the eyes, but we focus on vision rehabilitation through vision therapy. We know that glasses or contacts are helpful tools in many situations, but they aren’t always the answer. 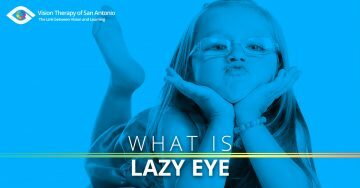 Vision therapy can be an effective treatment option for both children with learning related difficulties and adults with vision processing problems related to eyestrain, as well as in children and adults with lazy eye, double vision or crossed eyes. 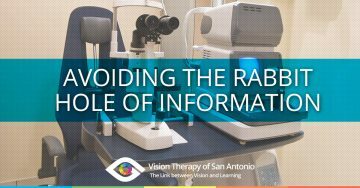 Here, you will find articles pertaining to vision rehabilitation in San Antonio, and we hope you find them helpful! Please feel free to contact us if you have any questions or concerns. 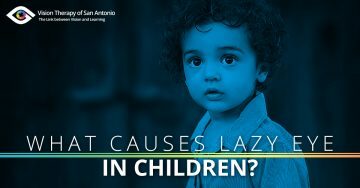 What Causes Lazy Eye in Children?